SCANNED AND WEIGHED AT RETALLACK ON THE 326TH DAY OF AGE, APPROXIMATELY. EARTHQUAKE HAS ACCUMULATED NUMEROUS PRESTIGEOUS AWARDS INCLUDING CHAMPIONS, SUPREME BORDER LEICESTERS, SUPREME LONG WOOLS AND SUPREME INTERBREEDS. SIRE: RETALLACK "IMA CALLUM" (TWIN) BY "GO GO CALLUM"(TWIN) BY ELLINGERRAN "LETS GO"
A YOUNG SIRE WITH A HUGE DEPTH OF INDUSTRY DRIVEN GENITICS SUITABLE FOR THE 1ST. CROSS AND PRIME LAMB INDUSTRY. SIRE: RETALLACK "Blacks A Fake"
SIRE: RETALLACK "Go Go Callum"
Joined to 200 ewe lambs in an AI program on the 4th of April 2011. A portion of these young ewes with lambs at foot will be auctioned at the 2011 production sale. 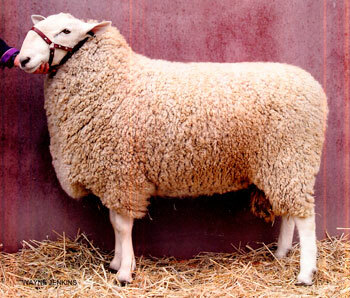 A big, growthy, heavy wooled sheep with strong sire attributes belonging to the Border Leicester breed. 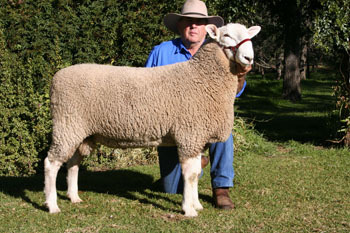 SIRE: RETALLACK "The Camp Cook"
"The Drover" was mated to 200 ewes in an AI program on March 14th, resulting in over 200 quality lambs on the ground by mid August 2011. "Boss Drover" was used heavily as a lamb in AI programs at Retallack and Kyeamba Station for the 2005 season with impressive results. A proven sire at Retallack. 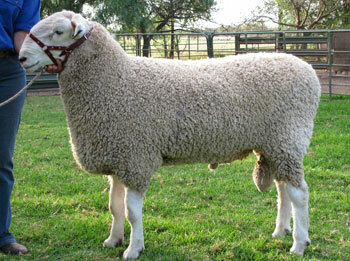 A large number of the 2007 sale sheep are by this ram. From a limited show career was awarded supreme Border Leicester at the 2006 Melbourne Show. A big bold sire with a magnificant fleece. Breed on similar lines as "Dynasty" and "The Saddler". similar range as the positive "terminal bred" sires. The highest eye muscle ared ever recorded for a Border Leicester at that weight. given 54 ewes in 2009, 52 in lamb. Never shown. A big, correct upstanding ram with a dense even medium fleece. Another young sire that carries a hugh depth of breeding on both sides of his family. Supreme Long Wools and Supreme interbreeds. Again a big long complete ram, with a big skin of true Border Leicester Wool. very prestigous awards around Australia. A very complete genetic package. A big long complete ram with a big skin of true Border Leicester wool. 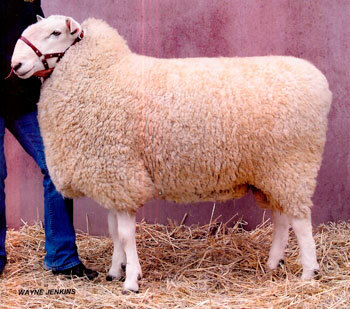 Sire: Retallack "Tough Enough" (twin) (D.6056) by Geraldine "High Voltage"
A big heavy boned, heavy muscled young sire, carring a big fleece of stylish medium wool. A very Correct Ram with a heavy cutting, a medium wooled fleece. Has a hugh of breeding in his pedigree. Sire of Retallack, "Dynasty" and the "Saddler"